A County Tyrone GAA club has had to cancel activities after what it described as a "despicable attack" by burglars. On its Facebook page, St Enda's GAA club said that "significant damage to fixtures and fittings" had been caused. It also said that vital club equipment and other items had been stolen. The break-in happened late on Monday or in the early hours of Tuesday. All indoor activities for its youth players have had to be cancelled. However, the club said it would "not allow this despicable attack on our club to set us back". Club secretary Conor Sally said the burglars had cut open two gates and pulled open a fire escape. He said they had "broken most doors forcefully going through each room". 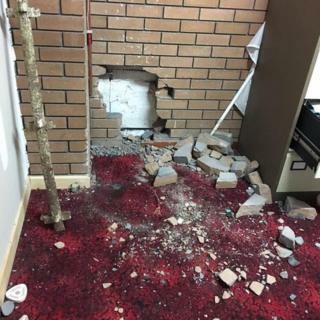 He added: "There was a lot of damage caused, a number of items taken, including a number of safes, some of which had been bolted to the wall and had been obviously forcefully removed. "It would have been quite noisy, I presume these people used some form of drilling equipment to manage to get the safes out. "We can only assume they were there for some considerable period of time." He said a number of activities planned for this week had to be cancelled. 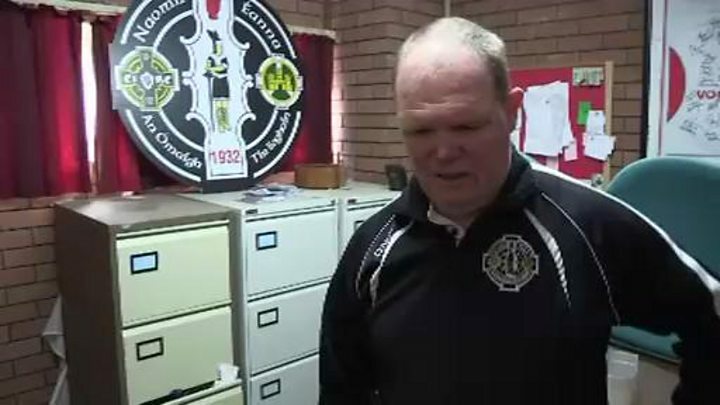 "It's a community resource, it's an attack on the community and the clubrooms are used totally for community activities, whenever needed and whenever required," he said. "Every single person who plays a role in that is obviously shocked and disappointed - you could see the anger in people as news started to spread yesterday and as people started to come out, you could see the visible anger." Police say the break-in happened some time between 21:00 GMT on Monday and 08:00 on Tuesday and have appealed for anyone with information to contact them.